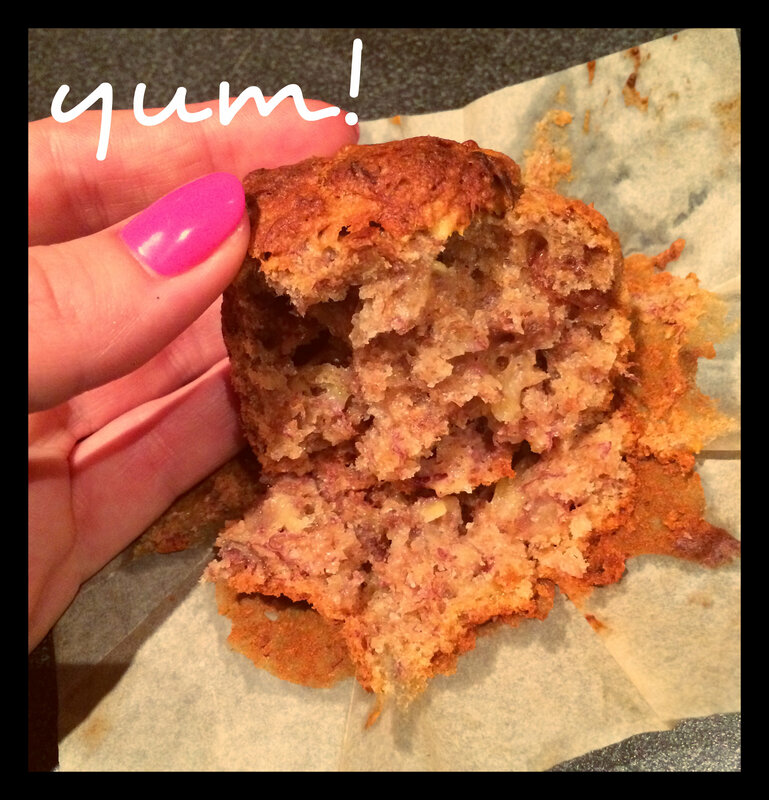 BAKING: Sugar free & dairy free BANANANA Muffins | AN EDIBLE LIFE. 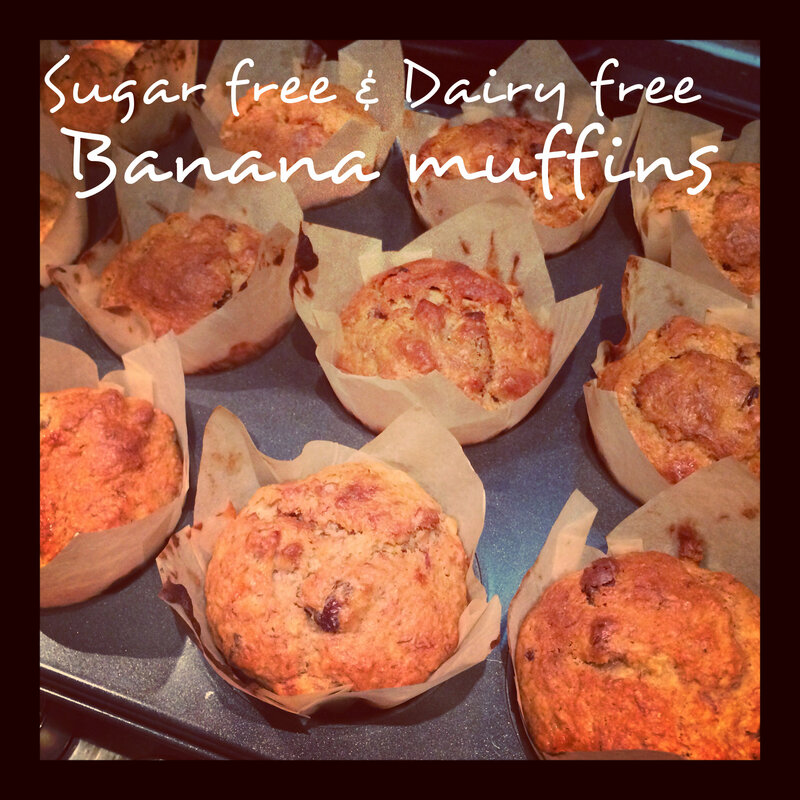 In light of my lent commitments and house FAJITA night we were having, I decided to make some dairy free & sugar free banana muffins. 1. Preheat the oven to 180C/160C fan/gas 4. Line a 12-cup muffin tray with paper cases. 2. Sift the plain flour into a large bowl with the baking powder and salt. Mix in the wholemeal flour. Place the bananas in a separate bowl with the eggs, sunflower oil and honey and whisk to combine. Tip into the dry ingredients and beat until smooth, adding the almonds just as the mixture is coming together. 3. Divide the batter between the muffin cases so that they are about three-quarters full. Bake for about 25 minutes, or until golden on top and springy to the touch. 4. Remove the tray from the oven and allow the muffins to cool for 5 minutes, then take them from the tray and place on a wire rack to finish cooling. I followed the recipie as per the instructions but added 100g of chopped walnuts and 70g of saltanas instead of the 175g of almonds (I don’t think they would go to well with banana?) I also used 4 bananas (recipe says 3 or 4). I weighed out 90g of batter per muffin case. I cooked said muffins at 160 degrees Celsius (in a fan assisted oven) for 25 minutes and then turned it down to 150 Celsius for a further 3 minutes. Notes: Make sure the bananas you use are so ripe they almost are off, you get the sweetest and richest banana flavour that way. 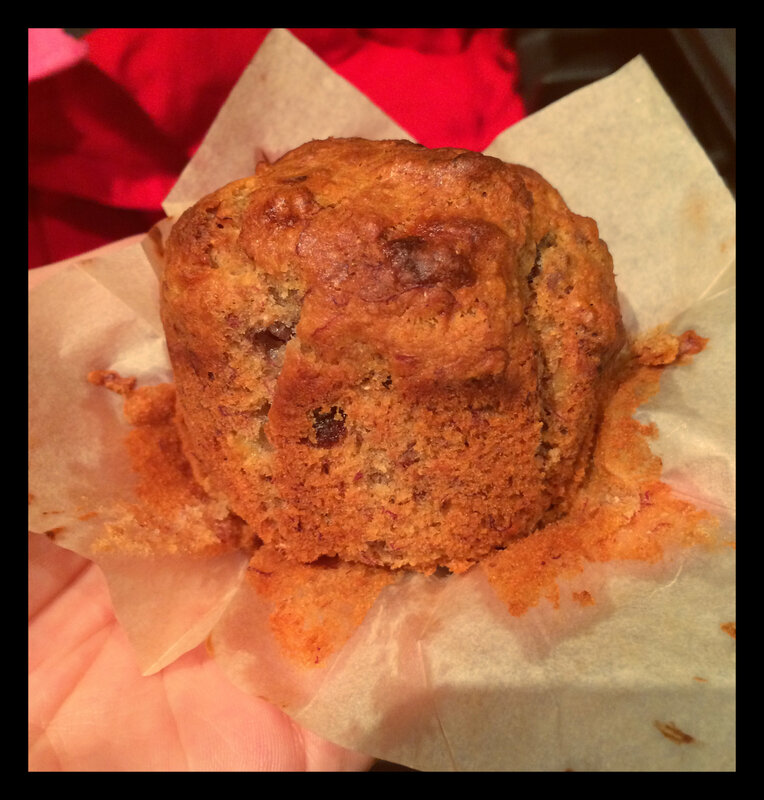 The muffins turned out so well in the end… they were moist, sweet, spongy and more. I was so pleased! And they are (processed) sugar free and dairy free. What more could you want! Thanks love…they were pretty tasty! !